Breakfast this morning was at our usual Favourite. Kopitiam Food Court – on the corner of Bencoolen Street and Bras Basah Road. It is a 24 hour food centre that serves amazing value breakfasts. 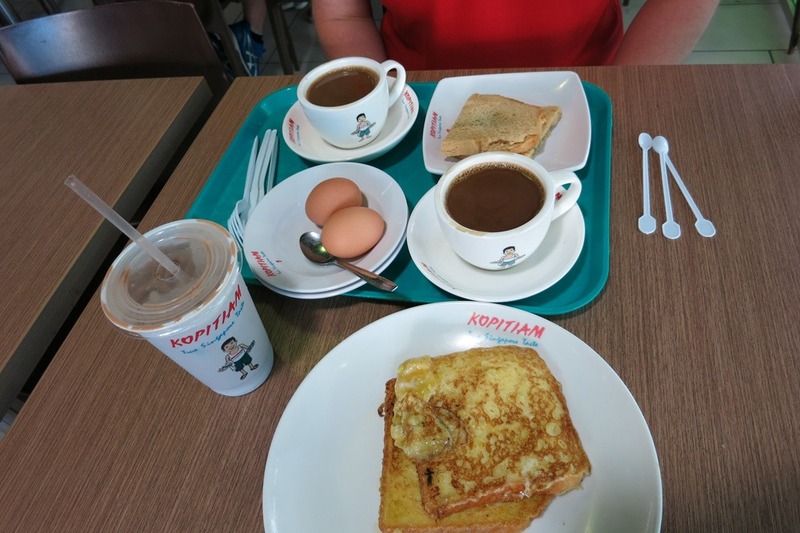 The Kopitiam Breakfast sets – 2 boiled eggs, plus a piece of Kaya Toast and a Cup of Kopi or Teh for $2.00. Danielle got the French Toast with Kopi for $2.20 (I know why not splurge every once in a while) and we both also got iced Milo for $2.10. So that is breakfast for two people for $8.40! See why I suggested not to go with the Hotel Breakfast Option. The food court had plenty of other options as well, we usually also got some Char Siew Bao (Pork Buns) and dumplings as a second course. 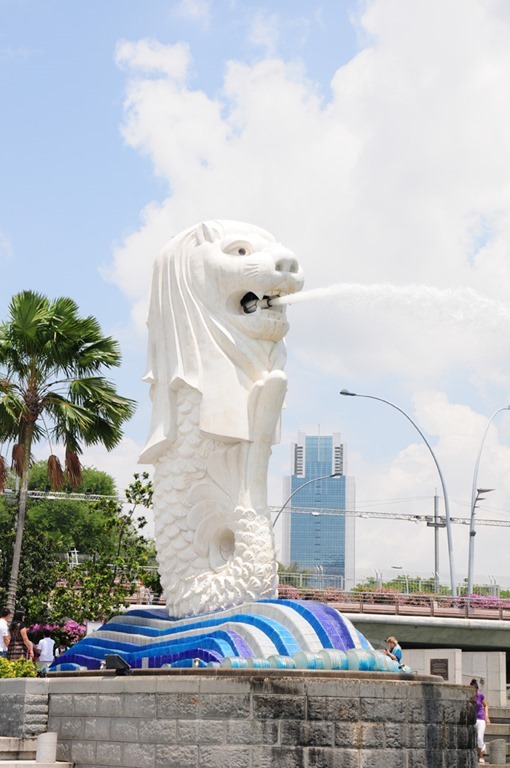 Just as a note – in Singapore you get a choice with your eggs “Wet and Runny or Runny and Wet” they are extremely soft boiled (which makes it easier to soak up with your toast. 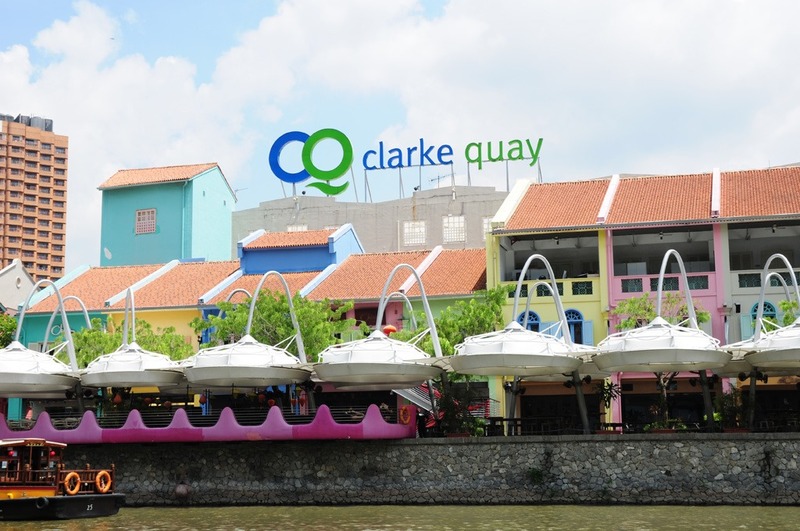 After stuffing ourselves with food we headed off to meet up with the other at Clarke Quay. The other three were staying together in an apartment – I think it was called Studio M, located close to Havelock Road (Clarke Quay area). 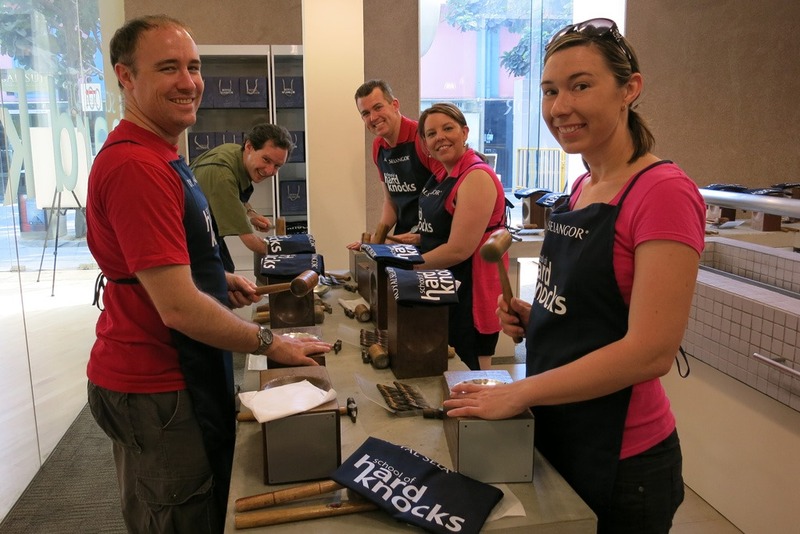 We met up and decided to head to the Royal Selangor Pewter Showroom to do the School of Hard Knocks. It is a really fun activity, we had done it before about 5 years earlier so decided to give it another go. 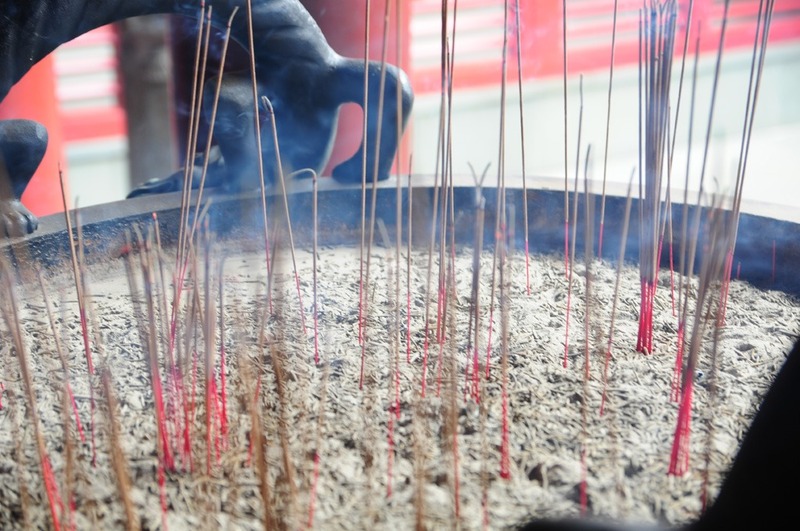 You basically get to make your own pewter bowl from a flat piece of pewter – its a great little souvenir of Singapore. Cost is only $30 per person, which includes the Pewter Bowl, a very fetching apron you get to keep and also a nice refreshing beverage afterwards. 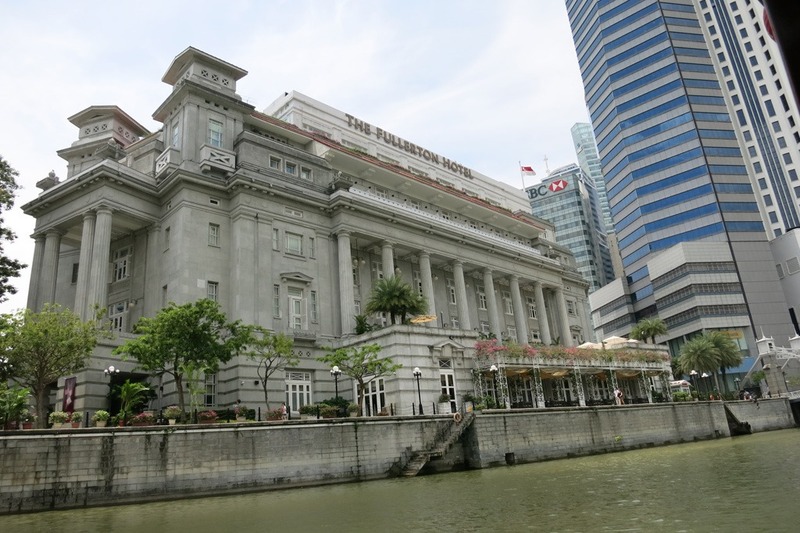 They also had a promotion on this month which included a free ride on the Singapore River Boat Cruise, so was extra value as I think the cruise by itself is around $20. 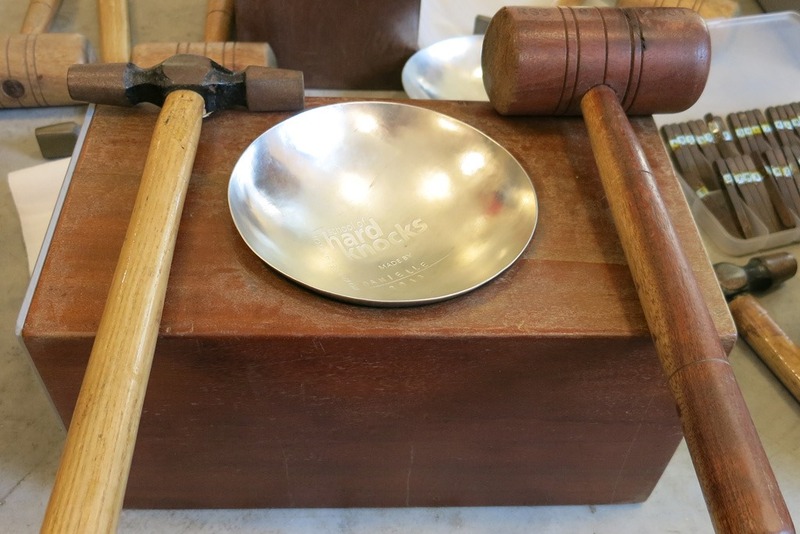 You start with a flat Pewter sheet, and you can engrave your name or the date on it if you like using the various centre punches that they have. From there it is a matter of gently and carefully bashing the absolute life out of the thing. And if you are not particularly gifted in the handcraft area you will get plenty of help from the staff, they will ever so nicely “fix” your bowl to make sure it is perfect. In the end a great little gift you can take home with you to remember Singapore. If you are in Kuala Lumpur you can also do this in their big showroom at Selangor, we just never got around to it there so thought we would do it in Singapore. After we finished up at Royal Selangor (and also after purchasing a few extra little goodies at the same time!) we headed over to do the Boat Cruise. As I mentioned this was included with the price of the School of Hard Knocks so was good value. I know it is a touristy thing to do, but in all honesty gives you a great orientation to the city and helps you piece together in your head where everything is. One thing I have found with Singapore is that if you rely on the MRT to get around you can actually get disorientated and lose perspective of where you are travelling around. The boat headed down the river from Clarke Quay out into the bay in front of the Merlion and the Marina Bay Sands, then up to the Helix Bridge before heading back to Clarke Quay. All up I think the total journey was close to an hour in length. Probably would suggest doing it early in the morning or in the afternoon, we were around midday and it was a little warm. After we got off the boat we walked to Chinatown, by this time I was ready for some lunch. My destination for Lunch was to be the Maxwell Street Food Centre. 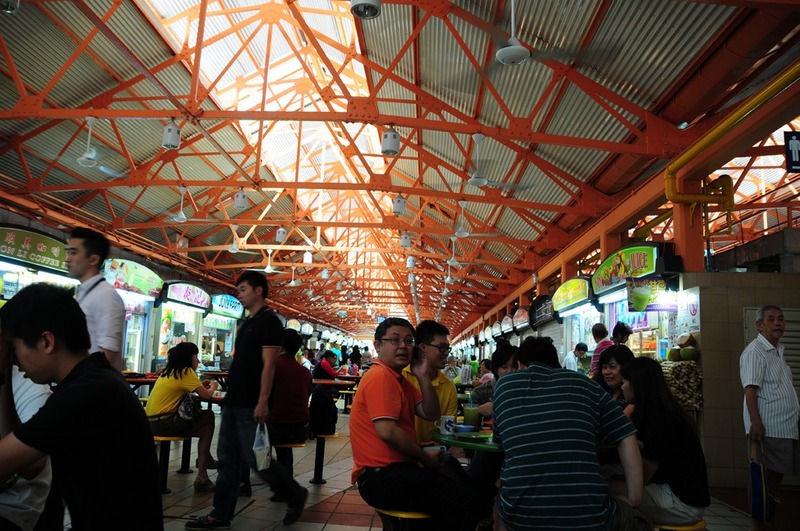 This is a great hawker centre that is well patronised by locals as well as tourists, however I find the prices are still quite reasonable compared with some of the more popular tourist food centres. The key here however is to try and time your lunch outside of common times (eg. avoid 11:30am to 1:30pm if you can) they do tend to get quite busy. The tip is to just grab a table and each of you go off on your own to find what you want to eat. 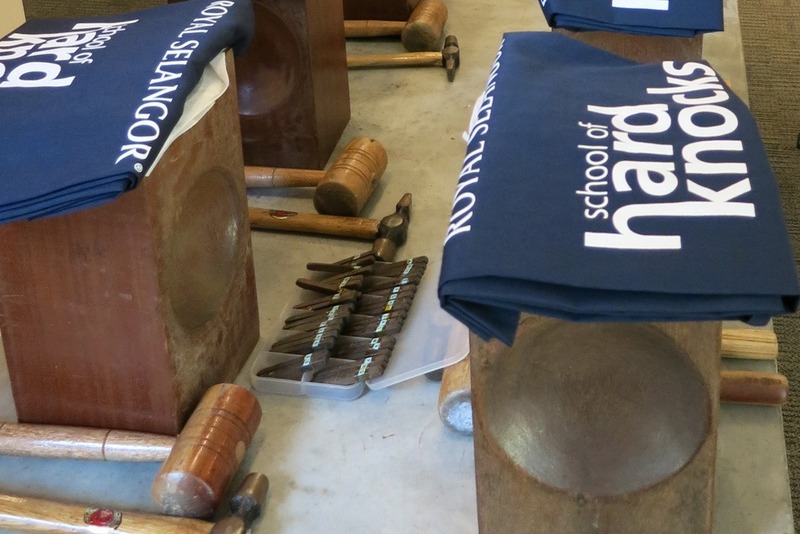 Another option is to “Chop” a table using a packet of tissues or an umbrella. 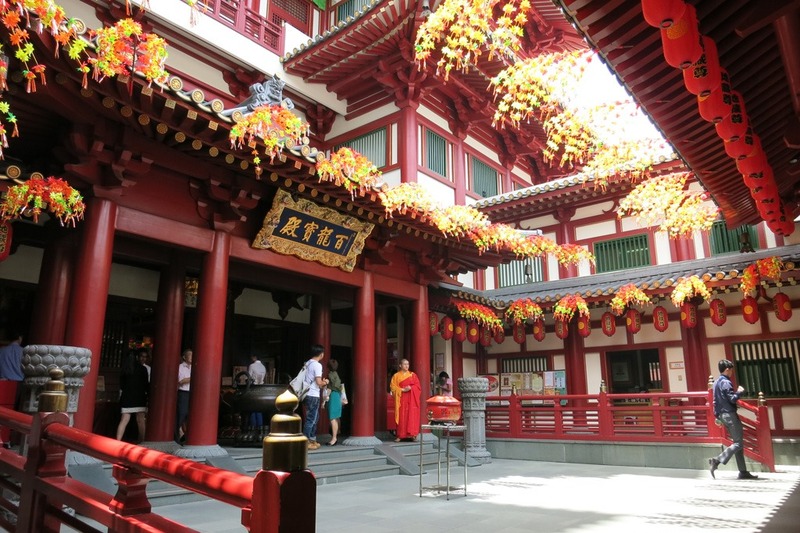 When we got there it was chockers full – so to kill a bit of time we headed across the road to check out the magnificent Buddha Tooth Relic Temple and Museum. This is a huge structure which I promise you cant miss – head inside (ladies: please make sure your knees are covered, they do have shawls you can borrow if need be) – it is amazing to see. 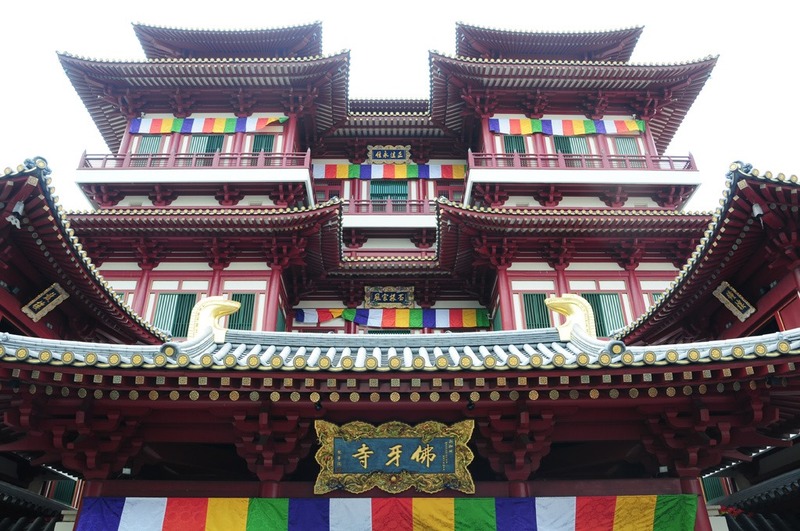 The complex is spread across about 4 floors and on the rooftop an amazing open garden with large prayer wheel. 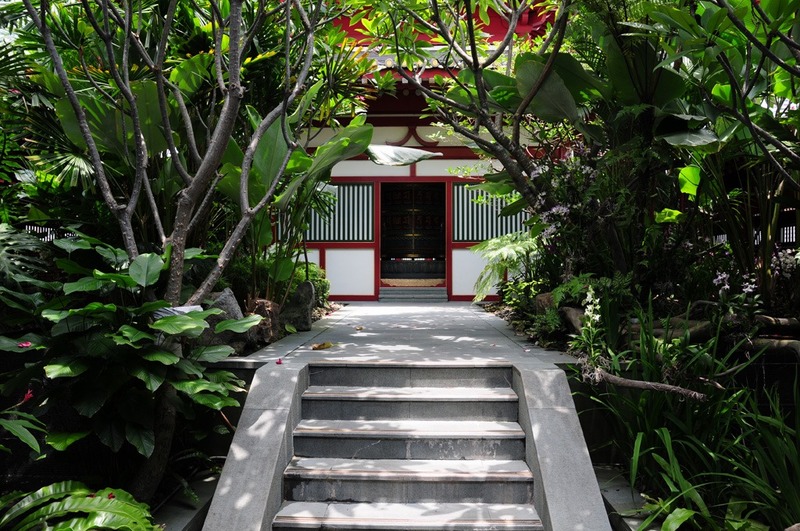 It is a really calming serene place and well worth a few moments of quiet relaxation. Down the next floor is the actual Buddha Tooth Relic (you can’t actually see it, but the room it is kept in is quite nice). And under that a really informative Museum covering the life story of Buddha. Overall well worth a stop, the museum can get quite busy on holy days so please do try to respect those there worshiping. This is the view from the entrance on the street. A massive building. Amazing architecture and detail in every area. This is a shot from just inside the first doorway. There are a couple of entrances that are blocked off, please do try to respect them. This is the shot from the top floor, garden and prayer wheel. Up there it almost blocks out the noise of Singapore below and you can actually feel quite relaxed. Each turn of the prayer wheel represents one recitation of the ancient mantra. After our time at the Temple we headed back across the road to the Maxwell Food Centre and thankfully this time it was now a bit emptier, we grabbed a table and headed off to grab some lunch. Sorry for the lack of photos – I was too distracted with eating my Chicken Rice to remember to take a shot. The food centre looks a little crazy and you could be forgiven for thinking “dirty” but it is well looked after and the food is top notch. Each stall is required to display their Government Food Hygiene level and you will notice most of the places (if not all) display either an A or a B rating which is pretty much as good as a 5-star restaurant. The key is to head to where the biggest lines of locals are – they tend to know the best spots to eat as they often come here every day. After some lunch we headed back through Chinatown to get some Reflexology massage done. 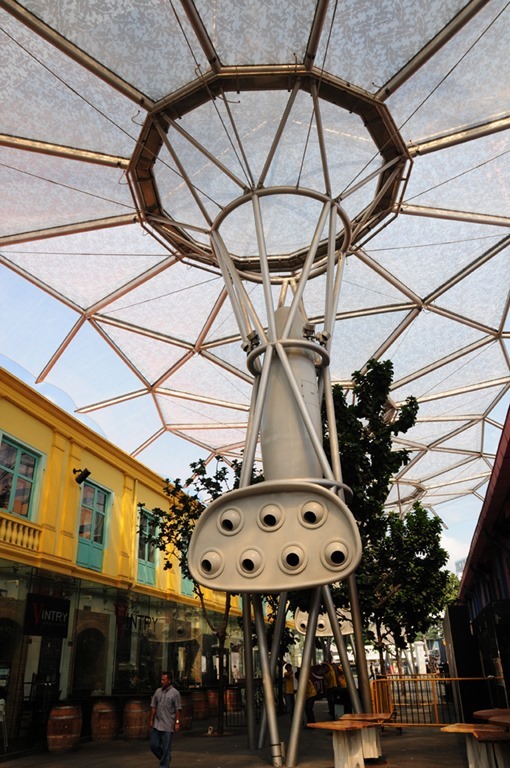 Our absolute favourite place, that we have been going to since 2008 is Teo Chew Meng Reflexology Centre, it is in the Peoples Park Complex Shopping Centre. If you head up to their shop on Level 3 and let them know you want foot reflexology – they will either fit you in there in the shop or take you upstairs to their other shop. You might get a little worried – it is up stairs, down a corridor, through a set of doors, take a right, then down another corridor! But I promise you it is the best in town and totally safe. Like I said I have been going for years and every time they have been able to pinpoint my various aches and pains and fix them up all through foot massage. I will however warn you a little – it isn’t a totally gentle relaxing massage (although I do tend to fall asleep) – but I promise the results will be worth it. Quite cheap too, from memory it was about $30 for the both of us. 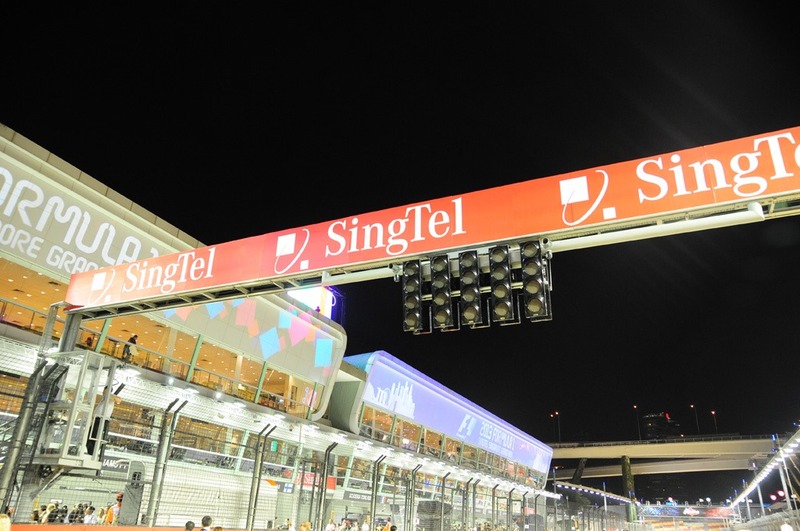 After our massage we all headed our separate ways – I had been very lucky and entered a competition on the Singapore Grand Prix website for a pair of Pit Lane Passes. And we won! So us (and 4,998 other people) got to access the Formula 1 Circuit Park a day early and get to access the pit lane as well as walk along the track. 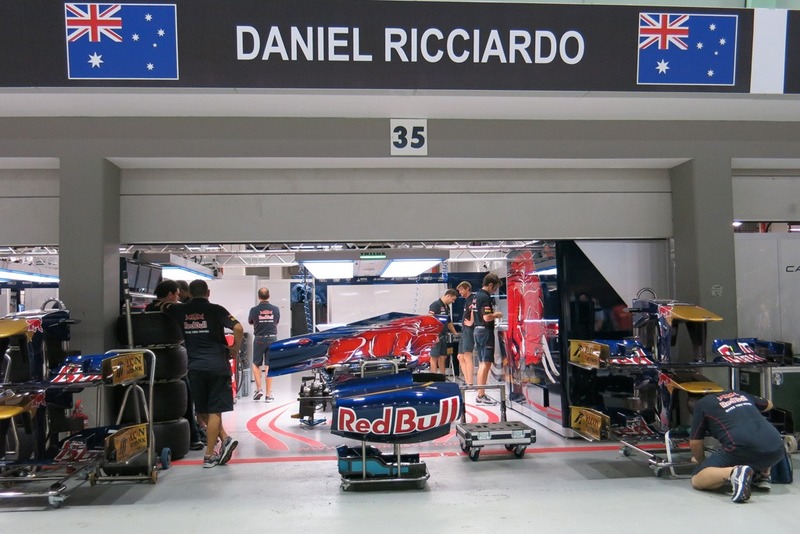 Warning: If Formula 1 or Motorsport isn’t your thing – the remainder of this blog may not be enjoyable. 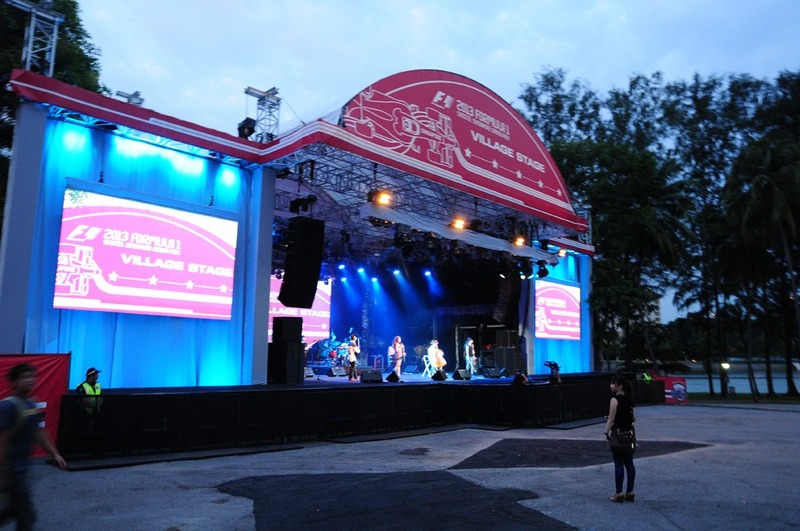 So basically they opened up Zone 1 for us to check out – Now Zone 1 is usually only for people with Pit Lane Grandstand tickets (read: the most expensive! ), so I hadn’t ever seen it before, and personally I wasn’t terribly impressed to be honest. I think the food and entertainment offerings in our Zone (Zone 4) were far better. But it was good to see. They had a number of live entertainment acts on the stage to keep the patrons amused tonight whilst we awaited the Track Walk to open. At least however, it did give people a chance to buy that exclusive merchandise a day earlier than everyone else. 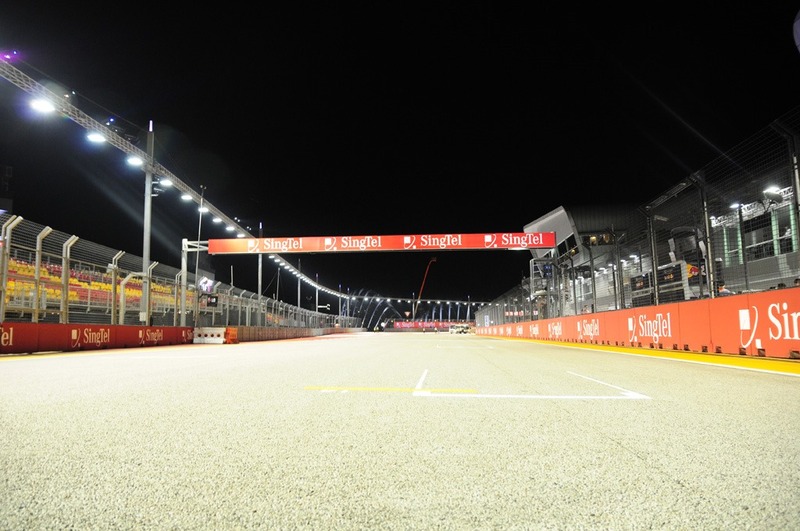 The Track – this is looking back up the main straight towards the last turn. 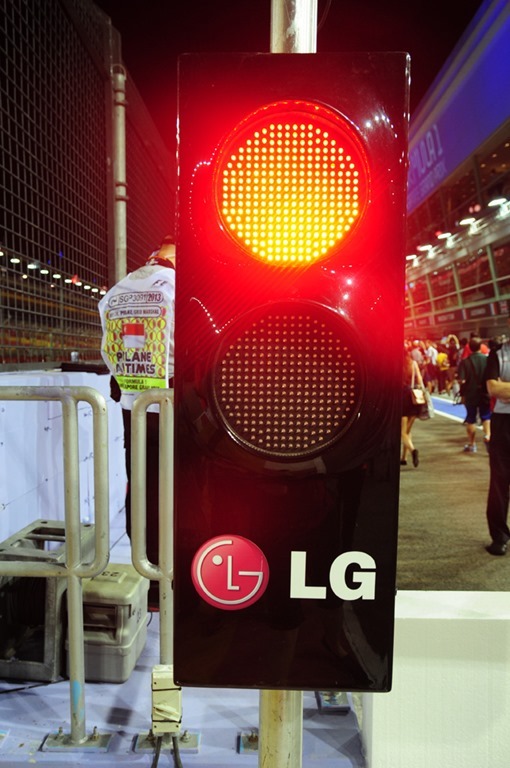 The Starting Lights – those of you not familiar with F1 – they light up red one at a time, then when they all go out, that’s when the FUN starts! The winner’s podium! 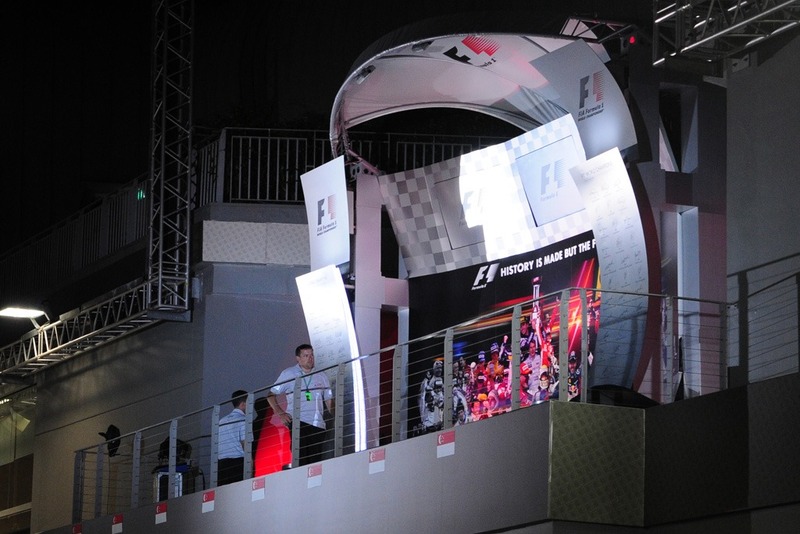 Where every driver wants to be standing on Sunday evening, but only 3 will get the chance to be up there! 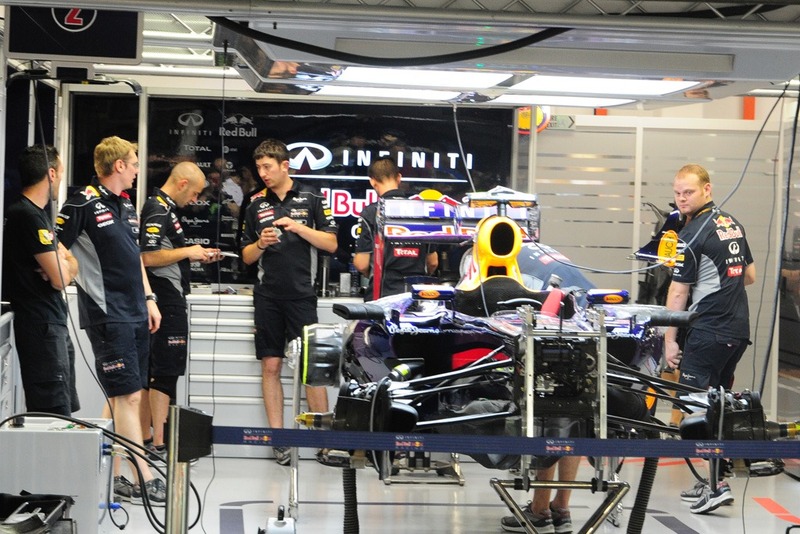 The pit lane access was amazing, you could get quite close to some of the amazing multi-million dollar technology. Most of the garages were roped off, but you still got amazing views. Thursday is the day the teams are putting the cars together, testing engine mappings and getting the cars all set up and ready for Practice tomorrow, so you get to see the insides of the many of the cars without panels on. That is technically Nico Hulkenburg in the drivers seat there, sadly his mechanic was intent on blocking almost every shot I got of him! 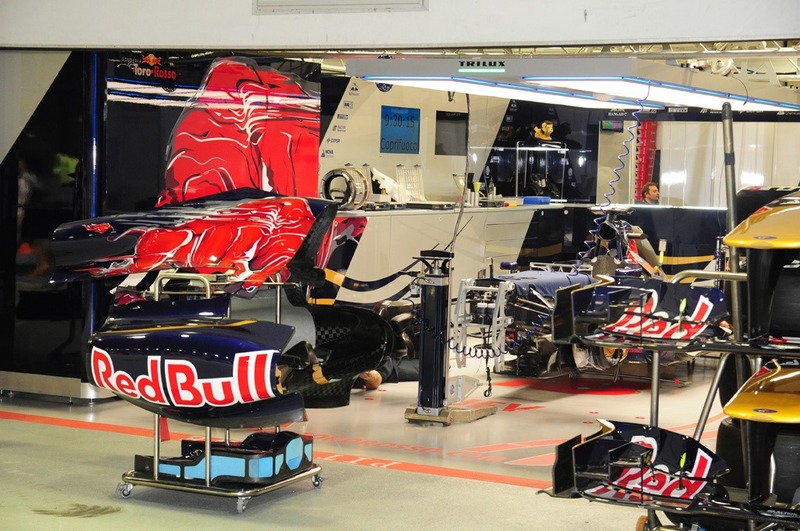 Our All Aussie Hero – one of the greatest drivers of our time – Mark Webber. Also sadly a driver who has been held back by a team who prefer their other driver (he who shall not be named). Still in his last season of Formula 1 (Mark is stepping back next year to drive Porsche Sportscars) Mark is still giving it a red hot go! 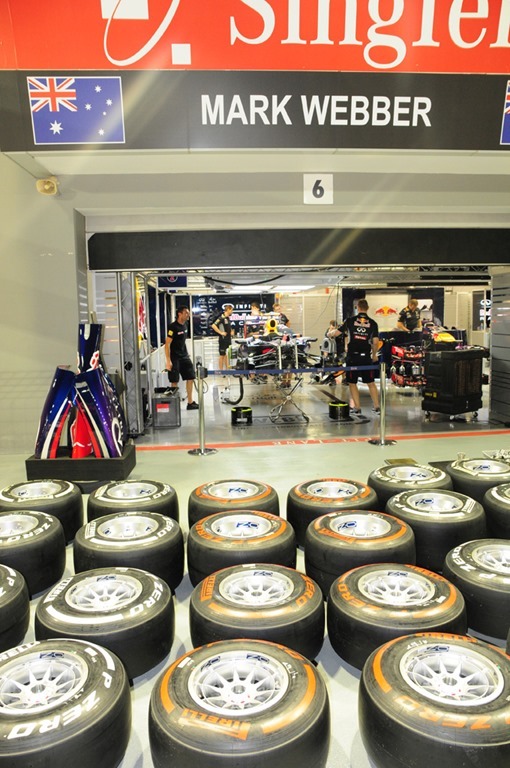 Some serious money and technology here – Singapore being a night race, the teams actually keep to a European timeline, to them 10:30pm at night is actually their morning. 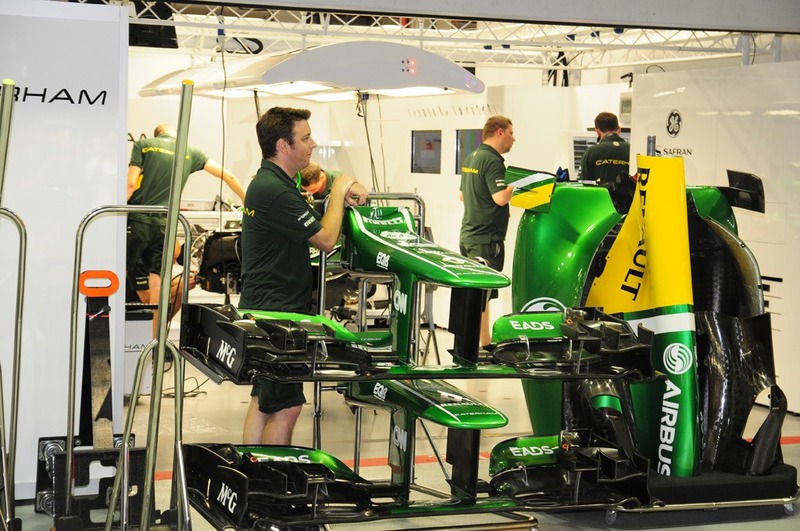 They black out the windows of their hotels and arrange special breakfast menus at night so that the team and drivers can still perform at their peak of an evening when traditionally a grand prix is raced in the afternoon. We both really enjoyed the pit lane experience, would love to have the money to afford the F1 Paddock Club Passes as they get access to the Pit Lane throughout the weekend, but sadly for us this would have to do. We headed back to the hotel to get to bed. 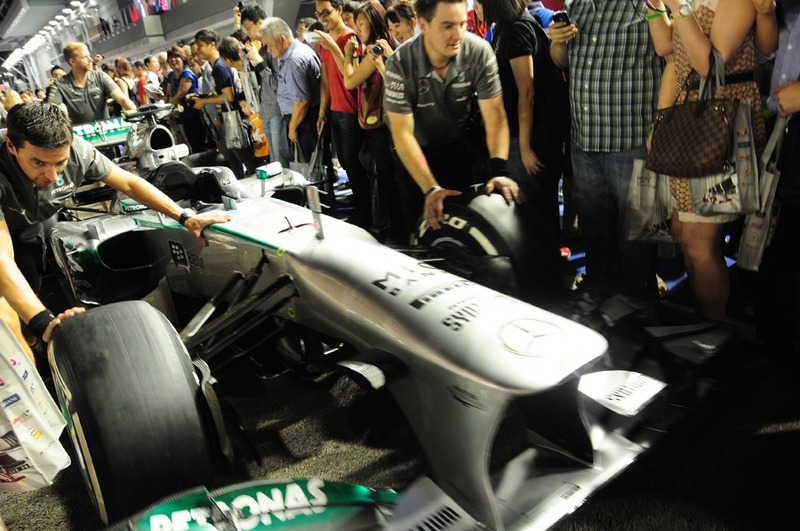 A really fun day today – the truly spectacular thing about the Formula 1 being a night race is you have almost the whole day to enjoy Singapore and to experience the city, then just relaxing and enjoying the racing in the cool of the evening. 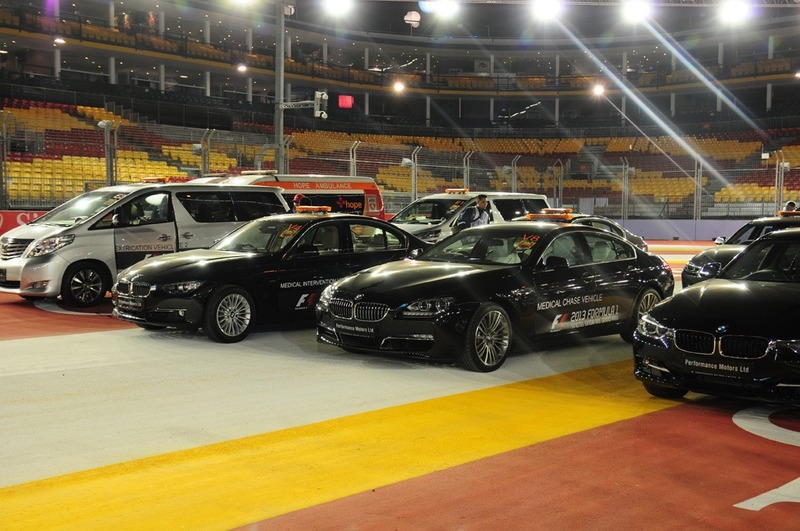 I really wish other Grand Prix destinations took notice of this – eg. Melbourne Australia! 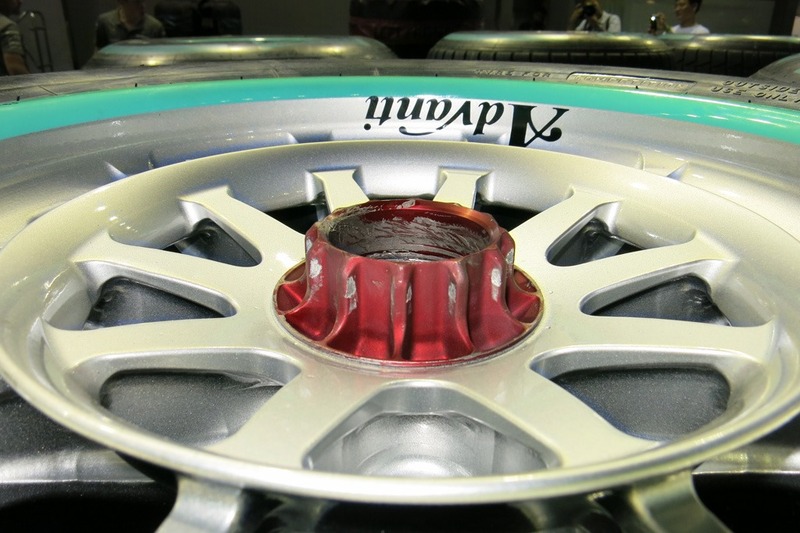 Thanks again for reading – sorry it was a little longer than usual – The next few days likely will be as we are both kind of Formula 1 addicts.